Located in the southeast of England, London is a thriving global city and the beating heart of the United Kingdom. It has a population of just under 9 million people, with a property market that’s booming. The sheer size of London means there’s an almost endless range of property types and settings on offer, from bustling centrally-located apartments to detached and semi-detached houses in its leafy suburbs. At My Home Move Conveyancing, we’ve been developing our knowledge of markets like London’s since 2001, enabling us to bring our clients in the city a specialist, fixed fee conveyancing service. If you want to buy or sell property in London, you need to instruct property lawyers to complete the legal work for you. 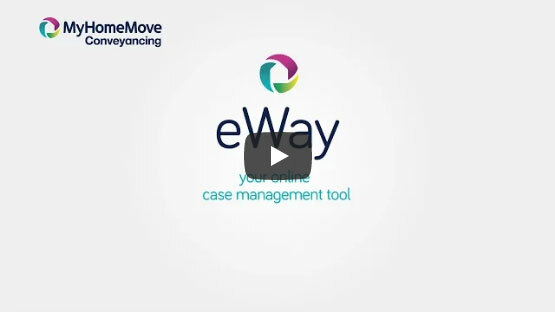 At My Home Move Conveyancing, we apply our award winning customer service, innovative use of technology and intimate knowledge of the local market to bring you a professional conveyancing service. It always comes for a fixed fee, so you’ll know what you’re going to pay from the offset. There are no hidden charges or extra fees when you choose us to be your London conveyancers, so you’ll always get peace of mind. And if you don’t end up completing for any reason, our ‘no completion – no fee’ policy means you won’t need to pay us a thing. We’ll assign you a dedicated conveyancer who’ll oversee the entire process, taking care of all aspects of your case from beginning to end and providing you with a consistent point of contact. You’ll be provided regular updates on progress, and can check up on things 24 hours a day using your online account. We’re proud to provide our conveyancing services in London to homebuyers across the city, including central spots in the Cities of London and Westminster, further out in hubs like Wembley and Croydon, as well as spots close to the M25 such as Watford and Romford. The average house price in London is £673,444, while the overall average sale price in the city during the past year was lower than this at £613,457. Most sales involved flats, which went for an average of £493,767. Terraced properties fetched £703,917, with detached homes selling for £1,069,062. This bustling metropolis is among the most famous cities on the planet. Its origins date as far back as 1,000BC, founded by iron age tribes, but it was the Romans who named the city ‘Londinium’ and laid the groundwork for the city we see today. It’s conveniently located in the southeast of England, sprawling across both sides of the river Thames and following it right out towards its estuary. While vast, its many parks and commons make it an incredibly livable and surprisingly leafy city, so it’s no wonder its property market is booming. There’s always something happening in London, with no end of activities to satisfy tourists and residents alike. Due to its size and convenient location, London’s transport links are second to none. The London Underground connects much of the city; with its 11 lines and 270+ stations, few corners of the city are far from a stop. Even in those areas without a stop, heavy rail services provide a constant service into central London, where connecting services can be used to reach every corner of Britain, and even the continent via the channel tunnel. There are also more localised transport networks, such as the Croydon Tramlink and the DLR (Docklands Light Railway), while bus services are frequent, and the M25 motorway provides orbital access to the city by road. There are a great range of primary and secondary schools located throughout the London area. It’s also a hub for higher education, with a huge number of specialised colleges and academies, while it’s universities are among the world’s best. These include Imperial College London, the University of London and the University of Westminster.